Dry abrasive blasting (sometimes referred to as “sandblasting”) is the safest, most effective and cost-efficient way to strip off old paint or powder coating, welding burn, rust and/or other types of corrosion from all types of metals, alloys and fiberglass. In the past, many restoration projects took months or even years to complete! Metal parts had to be scrubbed with wire brushes using old-fashioned elbow grease or soaked in harsh chemicals in order to bring a hard surface back to or close to its original state. 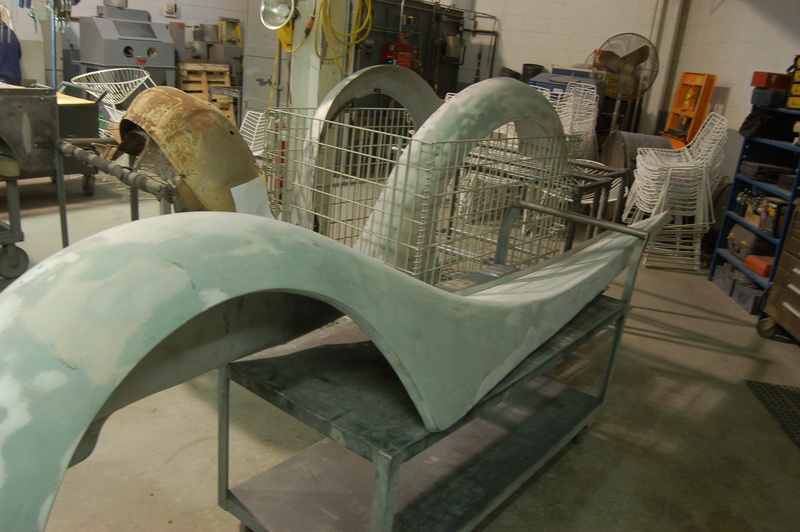 Dry abrasive media blasting virtually eliminates these processes. It allows for the efficient, effective cleaning, stripping and removal of paint, rust and surface coating on alloys and fiberglass. Our blasters evaluate the surface and choose just the right media or combination of media to ensure your project comes our smooth and ready to coat. No matter what your project, American Dry Stripping’s use of dry abrasive blasting techniques can benefit you. Contact us and let us show you what we can do for you.